David Guetta is a French house music producer and DJ. He has reached the #1 spot in worldwide DJ polls, and has become a household name by crossing over from pure electronic dance music into collaborations with some of the biggest names in pop. Aside from a partnership with Beats by Dre for his headphones, not too much is known about the equipment he uses in and out of the studio. While Guetta does produce in various proper studio locations around the world, his heavy touring schedule often has him creating music on the road. We've dug up videos, interviews, and even photo stills to identify for you all the gear in his studio setup, live DJ sets, and more. 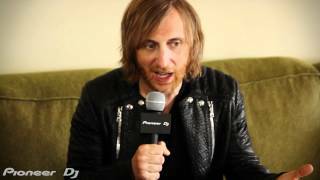 What kind of Studio Equipment does David Guetta use? Click here to let us know! While he uses larger keyboard controllers in the studio, this Akai Pro LPK25 is his go-to in his mobile studio setup. "I have this in my bag. This is my best friend. Really. Like I sleep with it. That's what I use most of the time." David Guetta is shown in the studio sitting with a Novation 61 SL MKII Midi Controller in this short video. In this Instagram pic posted by David Guetta Nov 2014, his gear setup can be seen consisting of two Ableton Push controllers, hooked up to what looks to be a MacBook Pro (more than likely a generation or two old MacBook Pro, since it seems to have two USB ports next to each other on the left side). The MacBook pro is running Ableton Live. The photo is captioned, "Trying to get ready for the live version of dangerous on TV"
Prism Sound Orpheus at David Guetta Studio, in this pic from Morel Muziek BV facebook page. 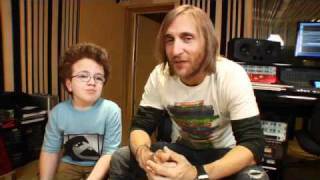 What kind of Software Plugins and VSTs does David Guetta use? Click here to let us know! One of Guetta's essential pieces of gear. "...I don't change my setup, it's always the same: my MacBook Pro, my MIDI controller, and my UAD DSP Card." The UAD helps offload CPU-intensive processing from the computer, so the MacBook Pro has plenty of power to spare. MASSIVE ranks highly on Guetta's list of favorite software synths. "This is probably the synth that is the most related to the music I produce and the most complete. Everything is there from classic string sounds to the most cutting edge electronic sounds. Nexus also has some really powerfull FX and arpeggios.These guys are incredible!" "It's great ! I love the synth and the banks!" "This is a total game changer, I love it!" Nicky Romero says that David Guetta is one of the artists that uses Kickstart in the about description of his video. David Guetta uses the Universal Audio Pultec EQP-1A Legacy plug-in at minute 5:53 in this Burn Studios Masterclass video. At 13:21 in this video "burn studios residency 2012 - David Guetta Masterclass," David Guetta uses the Brainworx bx_control V2 Plugin in his master chain. "...so on the master chain, I use this... this is a good trick.  I put everything under 175 Hz in mono. Because you want the kick and the bass to be right in your face... I make sure it's in mono by putting [this plugin] on the master." At 3:40 in the video "burn studios residency 2012 - David Guetta Masterclass" David Guetta shows how he uses the Cableguys VolumeShaper plugin. "There is different ways to do the sidechain, but here I've used something called VolumeShaper.  This is just drawing an envelope of volume." In the VIP profile of David Guetta from Loopmasters.com, we can see the sample pack "Climb". David says about this plug-in "lots of rise and falls . almost all of them are tonal. this is definitely gonna be useful in my production there are some really crazy falls to use when the kick comes back after a breakdown". In the VIP profile of David Guetta from Loopmasters.com, we can see the sample pack “Drop”. David says about this plug-in “A collection of really useful sound FX!”. David Guetta use Sylenth1 in a interview on Brazil, he remixed a song specially for the tv show "Fantástico". Since its release in 2009, Circle has become a popular soft-synth among big label producers like Hudson Mohawke, Arca, David Guetta and Deadmau5. "OMG — this is sick!" What kind of Headphones does David Guetta use? Click here to let us know! Guetta partnered with Beats to create the Mixr headphones. His vision was to create something specifically tailored for DJ use. In an interview Guetta says "The sound is better than anything I’ve experienced before because it doesn’t distort no matter what volume I am playing music at. They’re easy to travel with because they’re so light and compact." In the music video for "Memories" featuring David Guetta and Kid Cudi, Guetta sports the Sennheiser HD 25-1 II Headphones. What kind of Studio Monitors does David Guetta use? Click here to let us know! You can spot these ADAM A77X studio monitors in David Guetta's studio. What kind of DAWs does David Guetta use? Click here to let us know! David Guetta uses Logic Pro as his main production software. You can see him in action with Logic in a masterclass YouTube video. 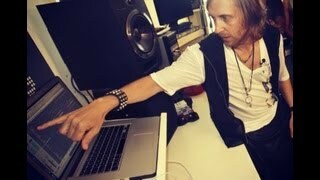 In a Tweet from January 2013, David Guetta says, "Testing ableton 9 right now Aghhhh it's so crazy. So much fun!!!" David Guetta's gear is on Equipboard.